Ever since graduating from undergrad in Washington State, I've lived in 5 different states, including Michigan. I lived in Detroit for a little over a year and consider it dear to my heart. I have a hard time when people stereotype Detroit when they've never even visited and my life long goal is to try and change their views one person at a time! Michigan is an incredibly beautiful state and I loved my time living in Detroit. One particular place in Michigan was so memorable that I knew when we were planning this trip, we had to visit. 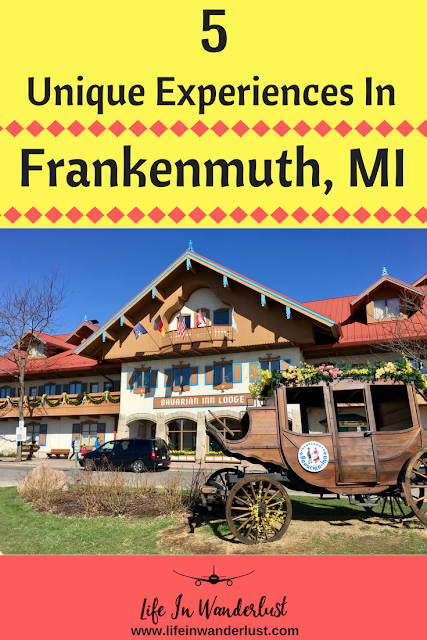 As I'm sure you've figured out, it's Frankenmuth, Michigan, also known as Little Bavaria. 1. Bronner's Christmas Wonderland - Bronner's Christmas Wonderland, also known as the world's largest Christmas store. I've visited before but my fiancè was shocked at the size...and we hadn't even entered the doors! 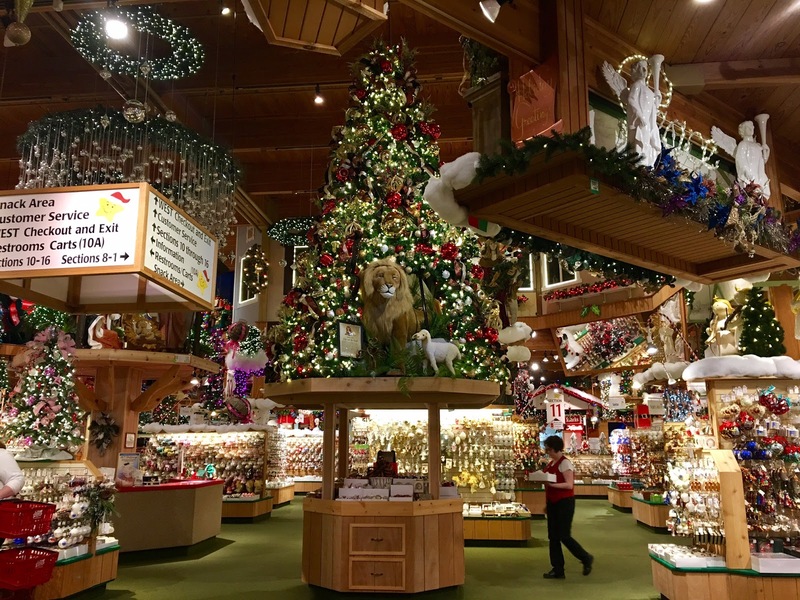 We spent a solid 2 hours in Bronner's, walking through the spacious store and inspecting almost every section they offered. I loved the shipping service they offered since we didn't have any space in our luggage for delicate ornaments. We packed up a huge box full of gifts and ornaments and had them shipped to our home in Los Angeles. 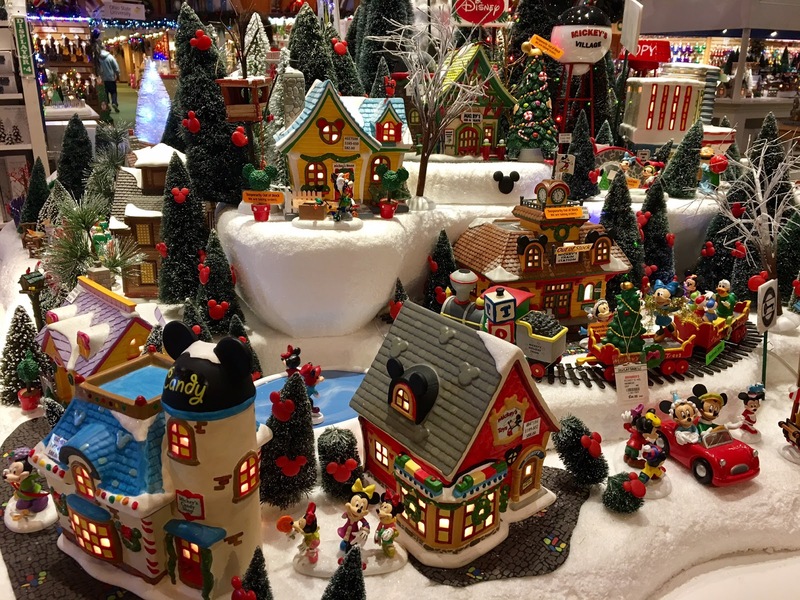 I wrote a post all about Bronner's, click here to read and see more photos of the winter wonderland! 2. 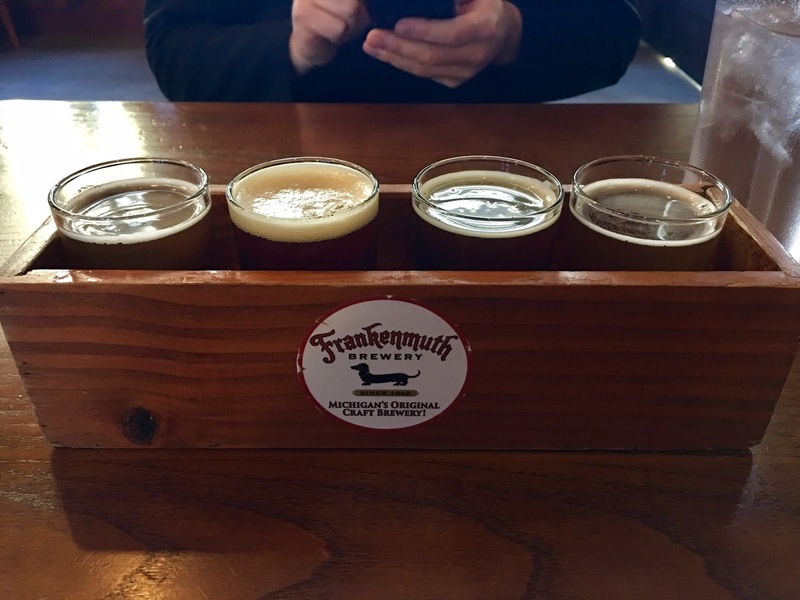 Frankenmuth Brewery - Since we love trying out new breweries, we were excited to see that Frankenmuth had their own brewery! 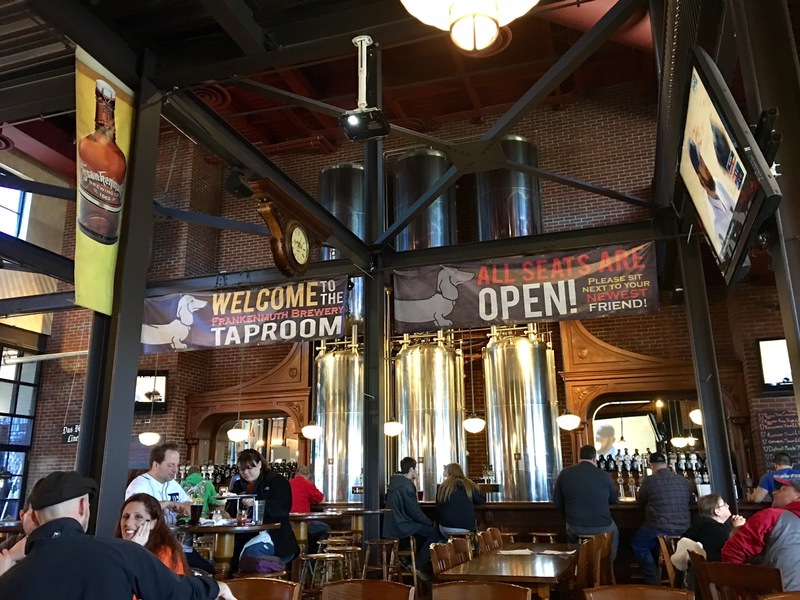 We joined other Detroit Tigers fans at the Frankenmuth Brewery and ordered pizza, as well as a flight of their best beers. The pizza was delicious (especially topped with the cajun spices!) and the beer selection was impressive. That's coming from someone that lived in Portland, Oregon for 4 years! 3. 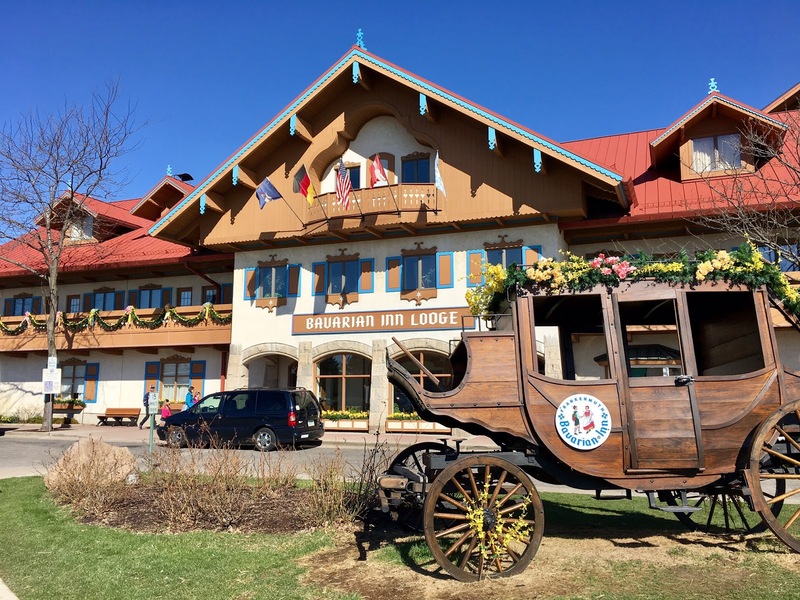 Bavarian Inn - One of the most iconic hotels in Frankenmuth, Michigan is the Bavarian Inn. I had only eaten there before so I was thrilled to be staying the night and exploring the popular hotel. The staff was welcoming and the decorations were absolutely charming! 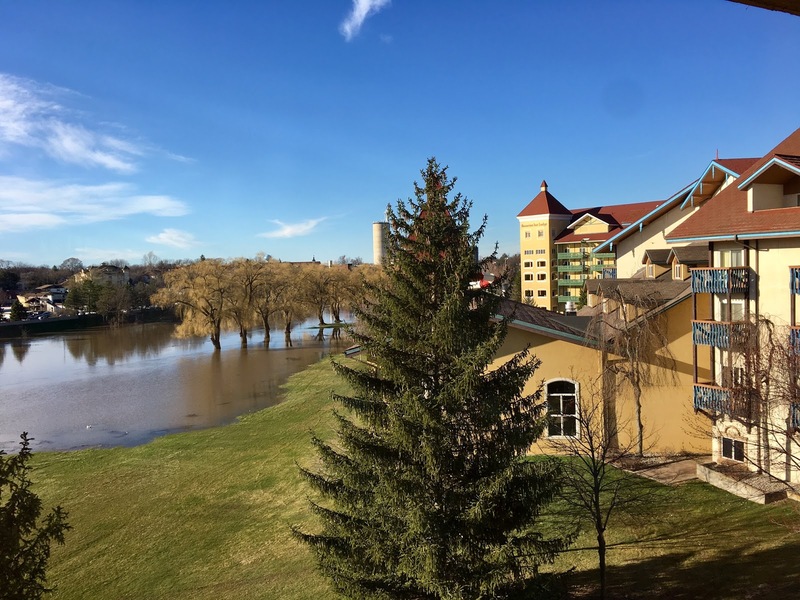 We checked into a comfortable, clean King Size bedroom with a pretty view. If you're traveling with children, your children will love you forever at the Bavarian Inn. They have the best swimming pools, an indoor mini golf course and a large arcade (think Chuck E Cheese) to tire them out for the night. I'm a kid at heart so we played a bunch of games at the arcade and won ourselves enough tickets for a new board-game! 4. Bavarian Inn's Famous Chicken Dinner - One thing (if not THE thing) that Frankenmuth is known most for is Bavarian Inn's Famous Chicken Dinner. I cannot express accurately how excited I was to be reunited with the Chicken Dinner. I definitely suggest making reservations; when we got there, there was a line of 30+ parties and thankfully with a reservation, the wait for us was only a few seconds. 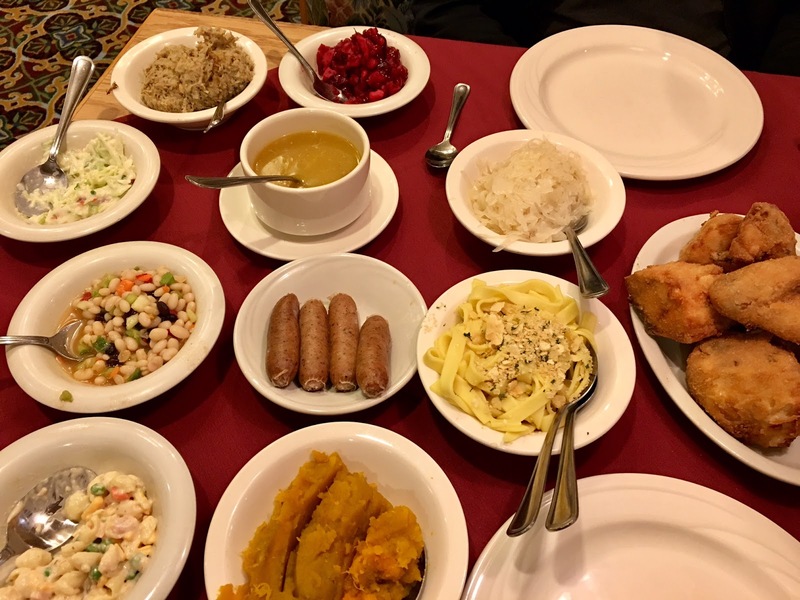 The Family Style Chicken Dinner at the Bavarian Inn is something you must experience if you're visiting Frankenmuth. You start off with a basket of bread, a bowl of soup and four types of salads. Don't get yourself too full though, since the buttered noodles, pumpkin mash, stuffing and the famous fried chicken finally gets served! Oh, don't forget the ice cream for dessert! 5. 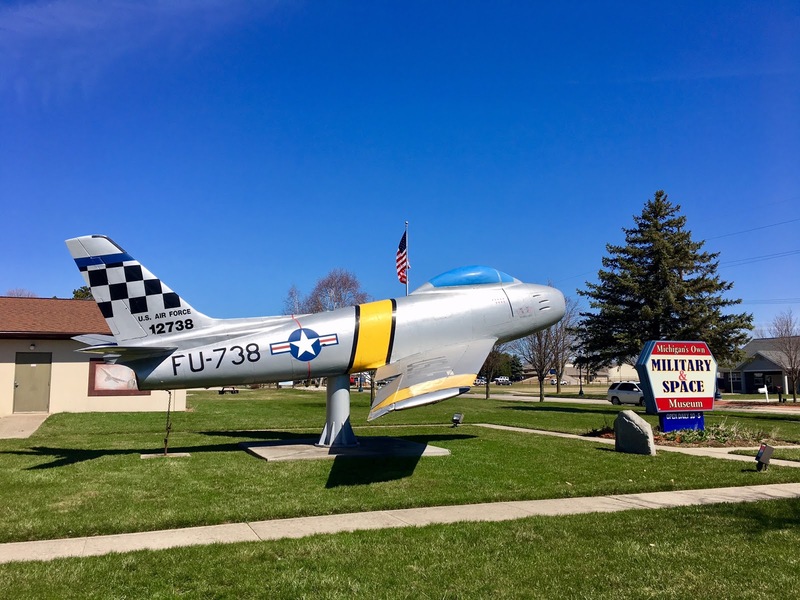 Michigan's Military and Space Heroes Museum - While the Michigan's Military and Space Heroes Museum in Frankenmuth may look small from the outside, there is so much to see on the inside. Since both my Grandfather and my fiancè's Grandfather served our country, the military holds a special place in both of our hearts. The museum boasts over 140 displays, making it the "nation's largest Medal of Honor collection on display". Amazing! 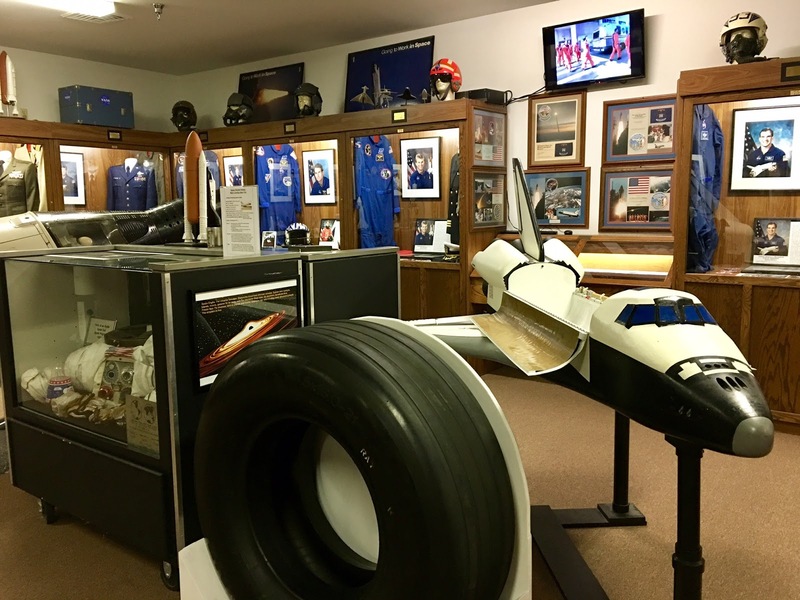 The military section is educational and personal, while the aerospace section is completely fascinating. We must have spent a couple of hours reading through the lives of the men and women from Michigan that served and continues to serve our country. 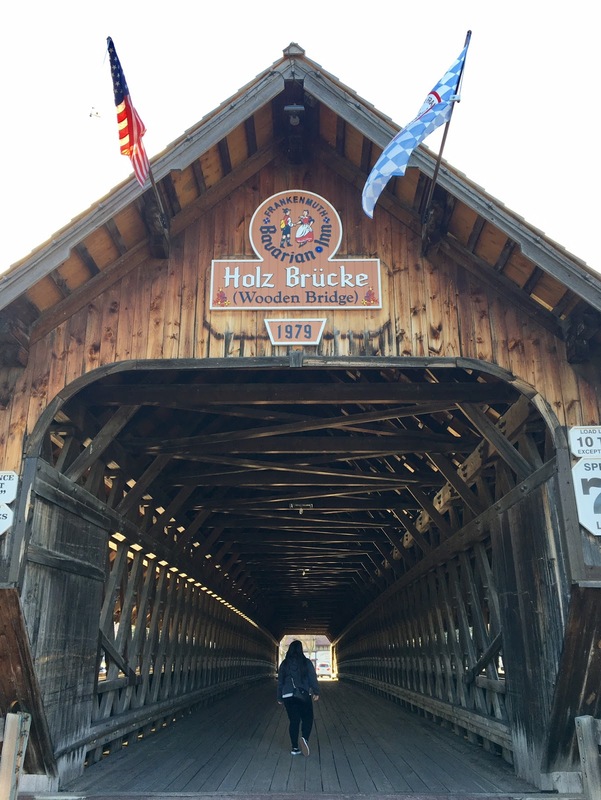 Fun fact: I guest-posted on the Frankenmuth Travel Bureau's blog! Click here to read it. Disclaimer: I was welcomed as a guest at the Bavarian Inn by the Frankenmuth Travel Bureau. However, this post is voluntarily written and all opinions are as always, my own. What a lovely little town, honestly doesn't look like America at all! Wow, who'd expect to find a quaint little European town in America. That Christmas store looks amazing and I'd spend hours there too.